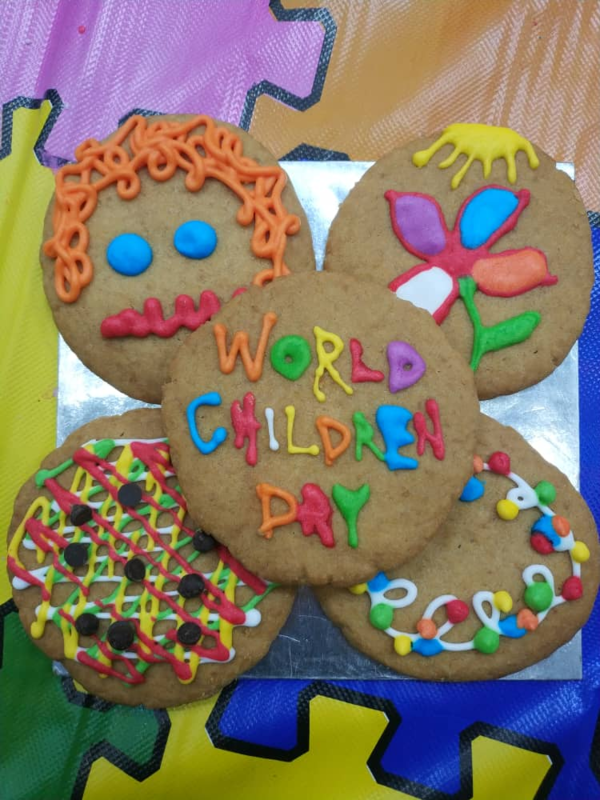 The 20th of November marks the date to observe World Children’s Day. This special day was established in 1954 to celebrate universal togetherness and awareness among children as well as to improve the welfare of children around the world. 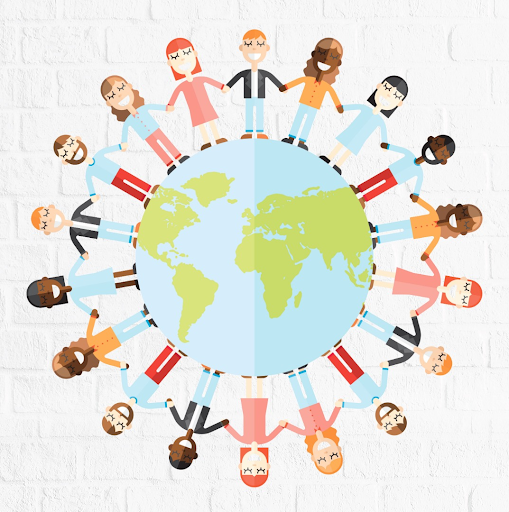 This day also marks the the anniversary of the date that the UN General Assembly adopted the declaration and convention on children’s rights. On this day, we as a society, reflect on the world our children will inherit and how they can prosper in it. With a rapidly changing world, children of all backgrounds, interests and and experiences need to have the basic right to an education, the right to be safe from harm and the right to fulfil their potential. The main theme of this observed day is to support a child’s learning and growth potential and encourage the development of their confidence, creative-expression and self-expression. 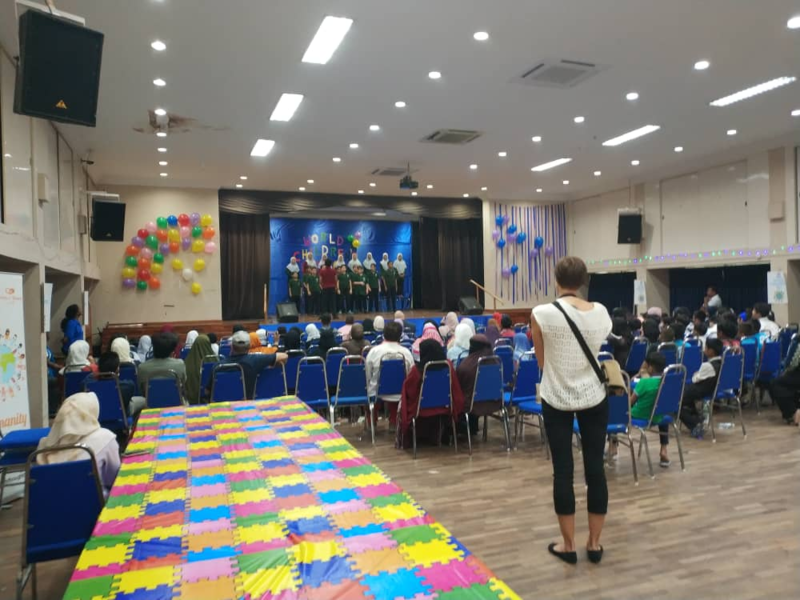 In light of this particular occasion, the UNHCR Malaysia (United Nations High Commissioner of Refugees), organized an event at the YMCA in Brickfields this year to celebrate World Children’s day with the focus being the empowerment of refugee children. 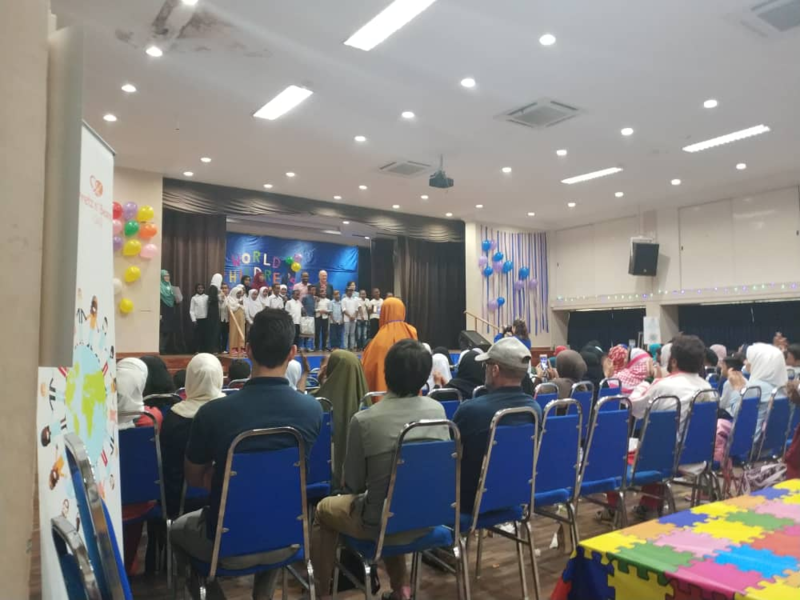 More than 180 refugee students from different refugee learning centers across the Klang Valley attended the occasion where they were celebrated and included a venue for fun and collaborative activities. The students were aged from 6 to 16 years old and represented diverse ethnicities with most coming from countries including Myanmar, Somalia, Syria and Afghanistan. In keeping with the theme of the day, UNHCR had prepared unique workshops where in groups of 20 students, they would rotate around the different booths that offered activities such as storytelling, face painting and a self defence workshop where the children learned basic yet effective skills to physically protect themselves. The House of Taste was invited as the official caterer of this event for the second consecutive year serving a breakfast of light snacks and a lunch with choices of Pesto Pasta, Grilled Chicken Burger and Hainanese Roasted Chicken Rice. To show our appreciation to the UNHCR for allowing us to be a part of this special event once again, we set up a workshop for the students offering each child the activity of decorating their own freshly-baked cookie with multi-coloured cookie icing and creating a colourful, edible piece of art . 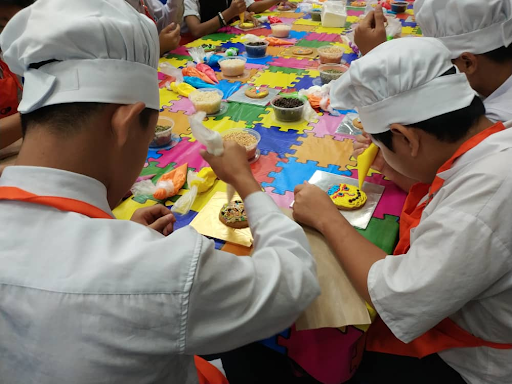 Not only did the students receive a tasty treat for later, this hands-on activity also allowed the children to express their creativity and artistic abilities. 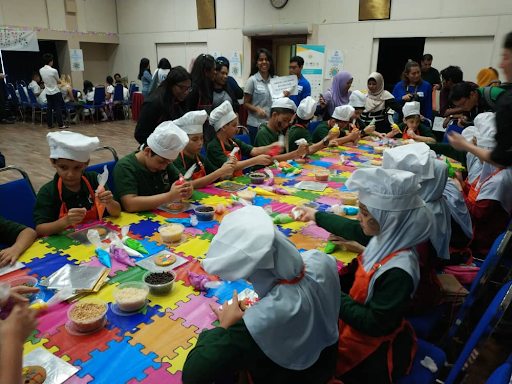 Complying to health and food safety regulations, we ensured proper sanitisation throughout the event and even provided the students with child-sized chef’s hats and aprons that were both compliant and adorable. Our team greatly enjoyed hosting this cookie decorating session, all agreeing that the best part of the event was seeing the children’s smiles leaving our booth with their cookie masterpieces, and feeling a sense of satisfaction knowing we were the reason behind it. Next on the activity-packed schedule were highly entertaining song & dance acts performed by the students themselves. Each school had the opportunity to take the stage and receive the attention of an audience to perform their school anthem, a harmonious singing act or a choreographed dance presentation. The performances were exceptional and the platform enforced the underlying theme of the day. Following the fantastic performances and as the eventful day came closer to an end, the UNHCR invited a very special guest to come up on stage and give a speech and share their experiences. Sharifah Shakira is herself, a Rohingya refugee and grew up with similar hardships as the children she was addressing. This very optimistic and well-spoken young lady shared her experiences with hatred and religious or ethnic intolerance leading to her seeking refuge from a country where her people are considered stateless. Her story was one of man obstacles that touched the hearts of everybody present and even more so for the refugee children who share similar experiences. Without a formal education and with limited funding, she was self-motivated and possessed an extremely strong drive which has led to spending over a decade educating refugee women and children of their rights and their potential regardless of the cards they have been dealt. She has since founded the RWDN (Rohingya Women’s Development Network) that provides english-language instruction, leadership training and self-defence classes. It was very evident that the children were empowered by her speech as it came from someone who they could relate to and understood their struggles. The day ended with a closing speech from Mr. Richard Towle, the UNHCR representative for Malaysia. His speech was simple, thanking the organizers, volunteers and the NGO partners; the key thing which he could not stress enough as a message to the children was to realize that they too deserve all the same rights as other children and their hardships don’t define them or impede their potential. 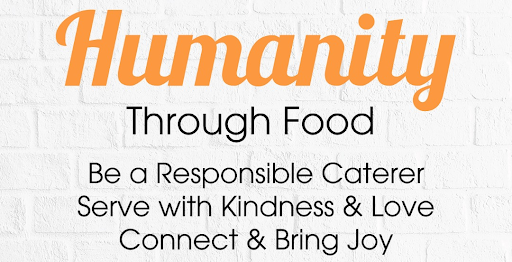 With a an event packed with fun and joy, and a room full of children laughing and smiling, we at the House of Taste considered it to be a success beyond our expectations. All the activities scheduled and workshops prepared for the students created a venue that offered the opportunity for these refugee students to build their confidence and self-expression. 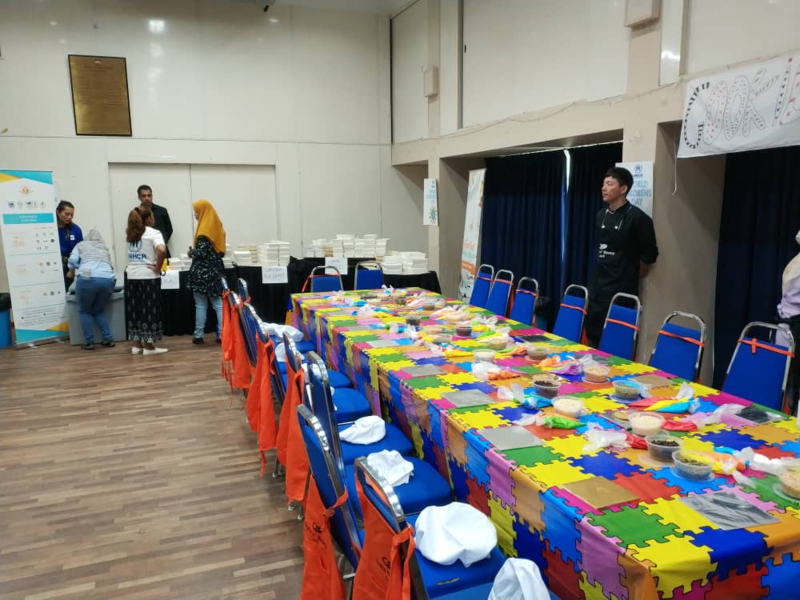 We thank the UNHCR Malaysia for inviting us once again to cater this event and providing the opportunity to take part in supporting the humanitarian cause.